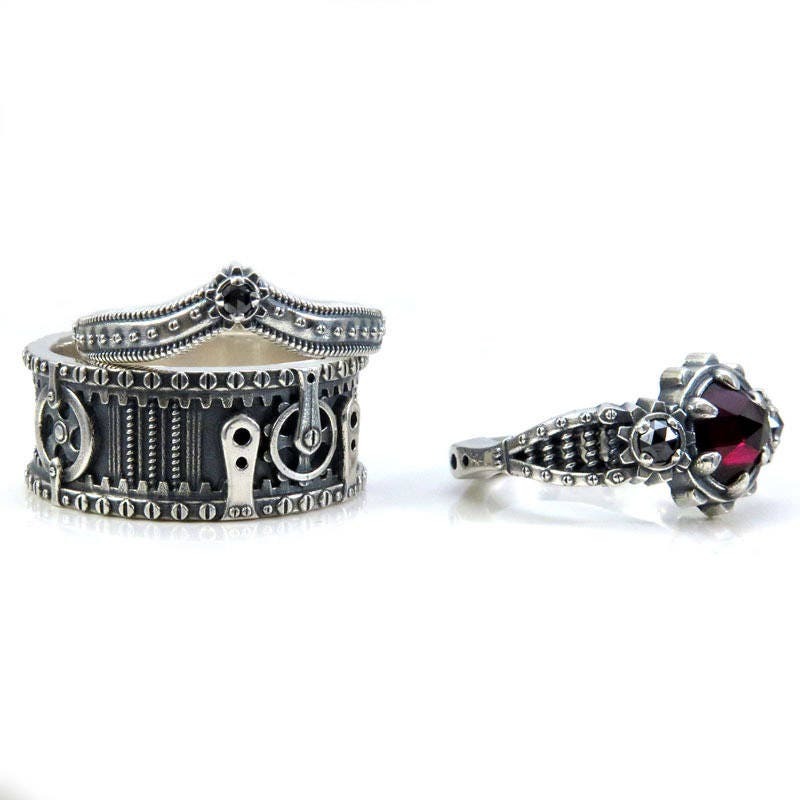 This ring set is made out of sterling silver, they have a series of coils, rivets and gears that create a uniquely industrial Steampunk design. 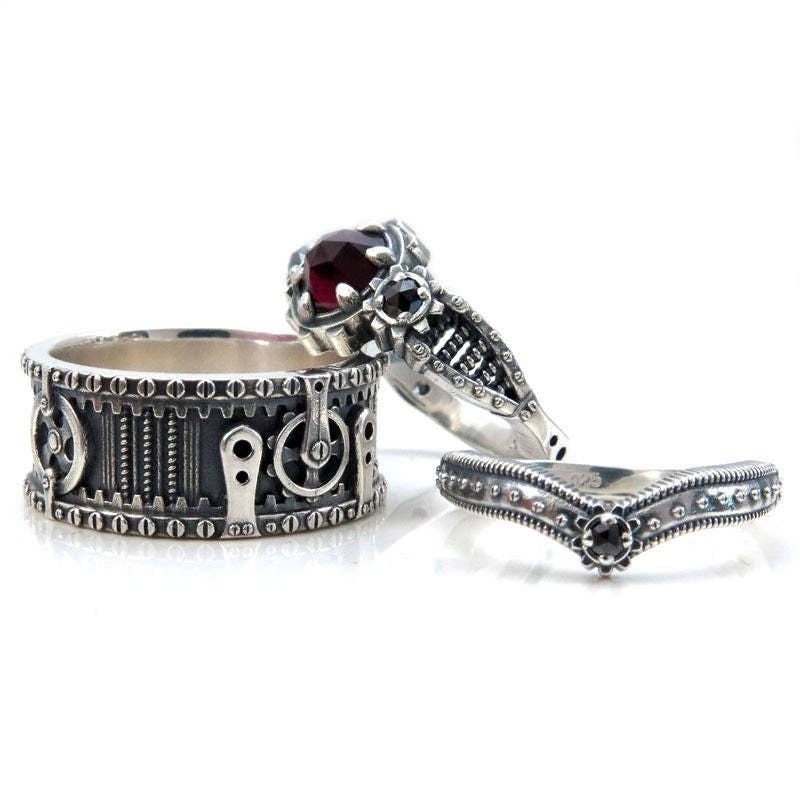 The mens ring is 10mm's wide and the ladies ring is 11m's wide at the top and the back of the band is 2.6mm's wide. 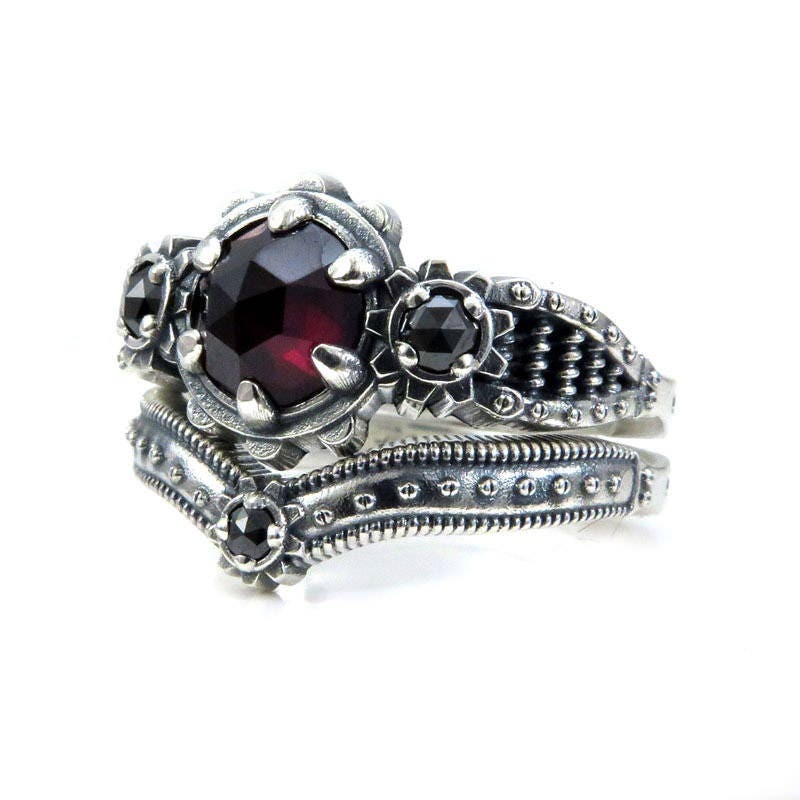 The ladies engagement ring is set with a rose cut deep red Garnet that is approximately 1.5 carats, on either side of the Garnet is a rose cut black diamond, they have a combined carat weight of .15 carats. 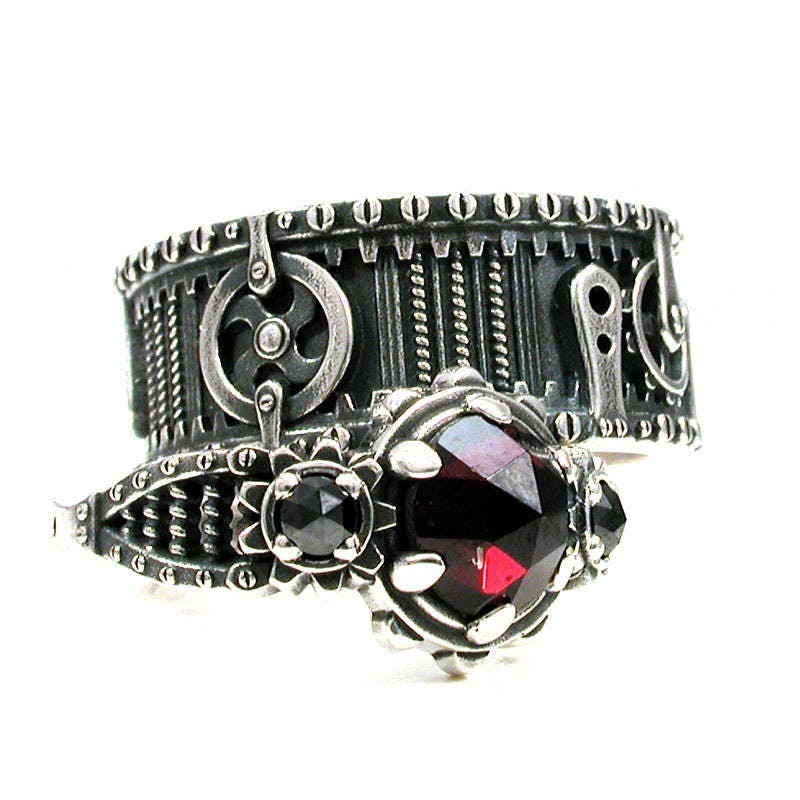 The ladies wedding band is chevron shaped and set with a 2mm rose cut black diamond, it weighs approx. .04 carats. 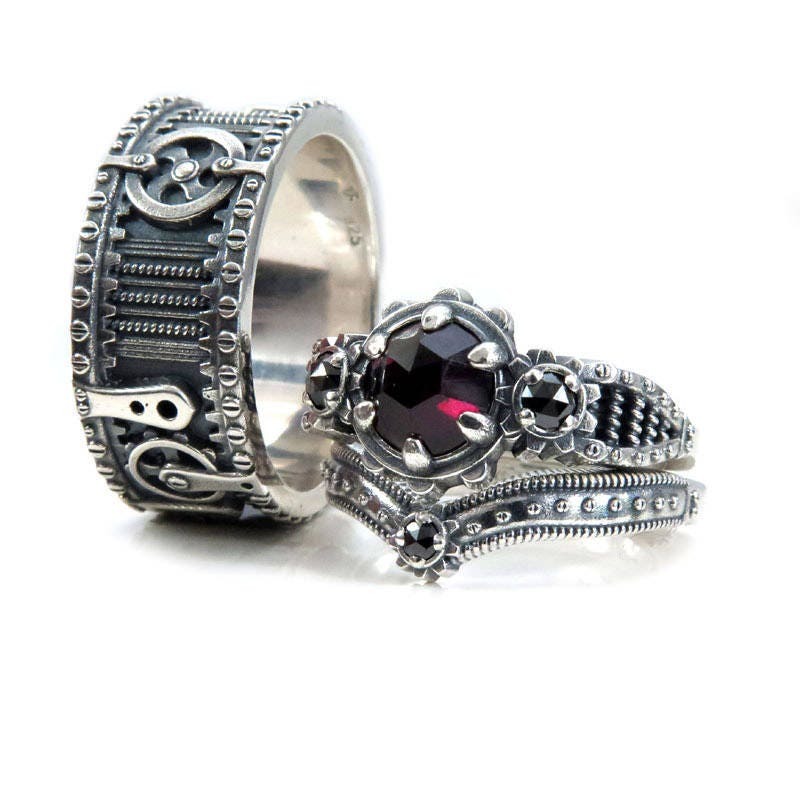 These rings will be made to order in your sizes, our turn around time is about 4 weeks. 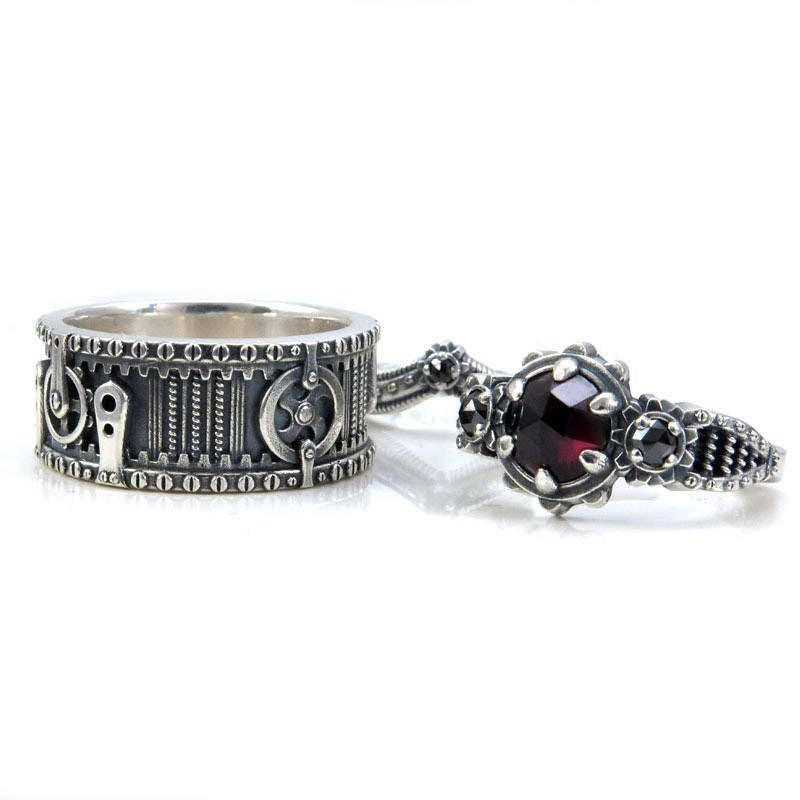 ♦ If you are not sure of your ring size please let me send you a ring sizer to double check your size (for free! ), just send me a message with your mailing address. 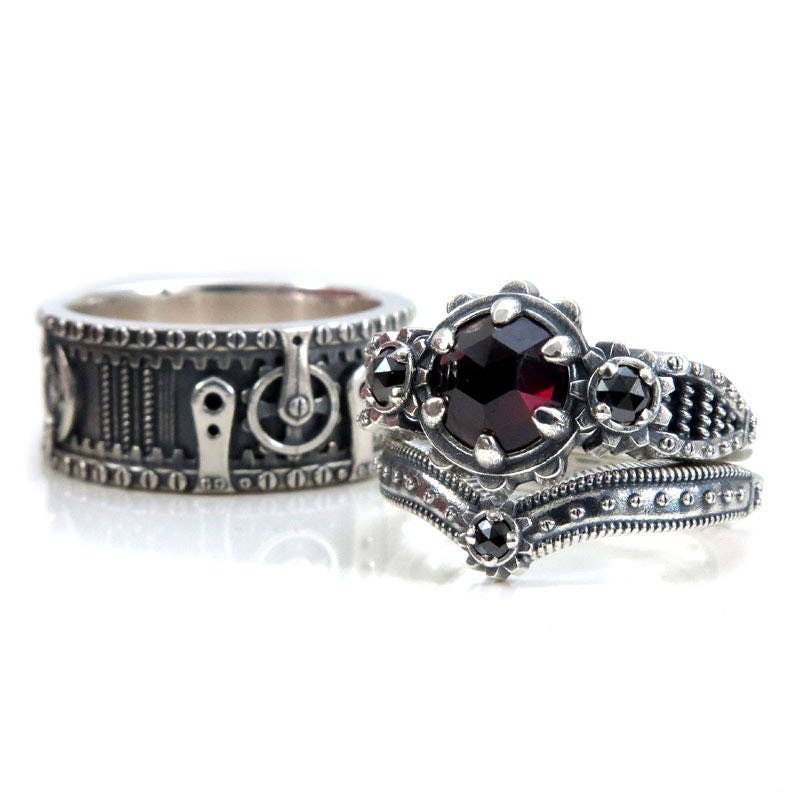 We recieved our rings right after new year. We couldn't have been more pleased. 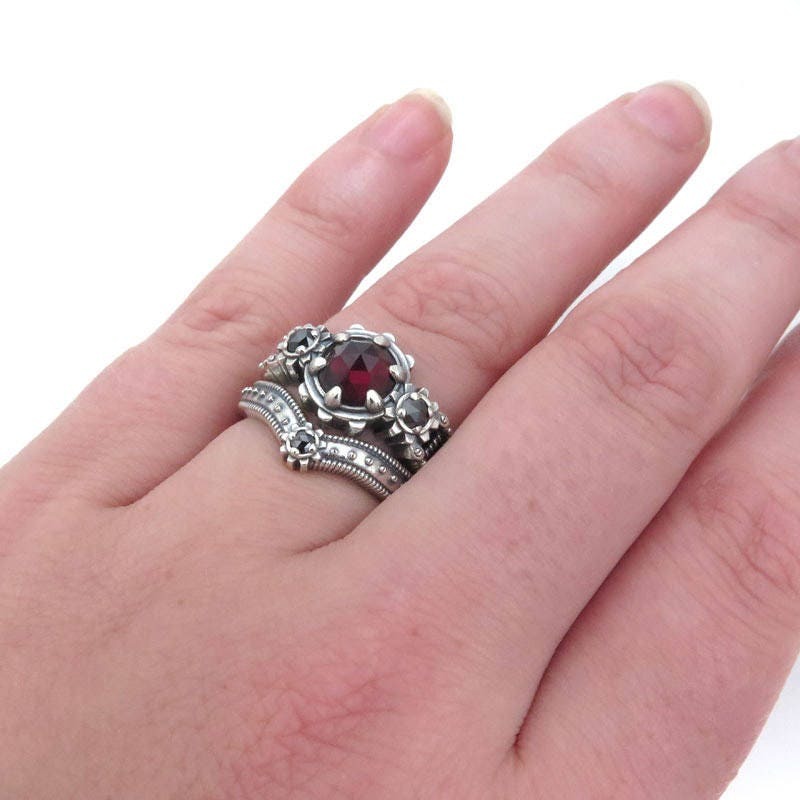 The rings are more stunning in person and they fit perfect!